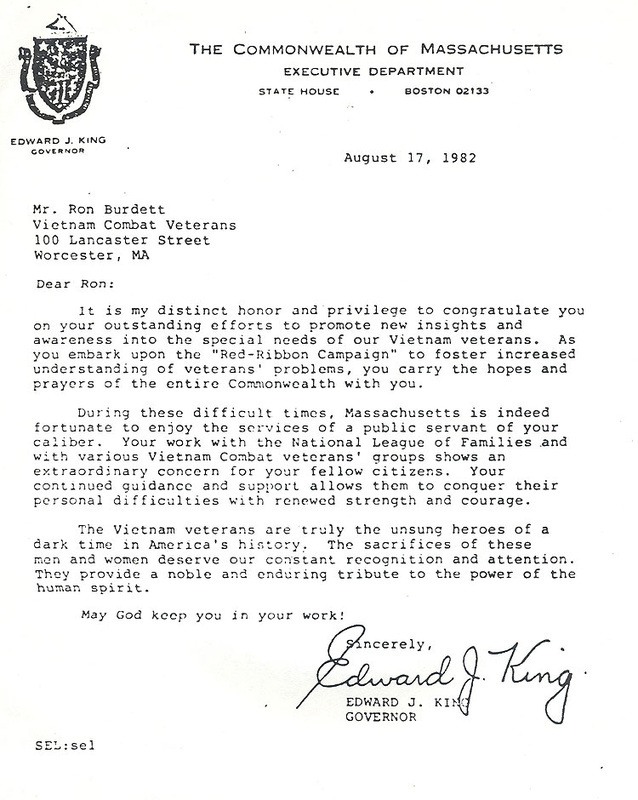 Over the last few weeks, I have had the pleasure of getting to know one of the founding fathers of the POW/MIA awareness movement. 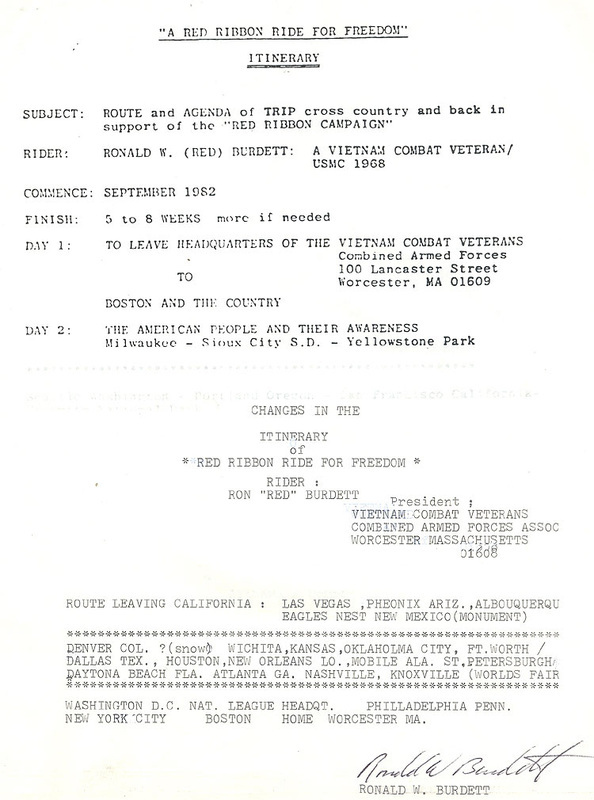 He is a former Marine who's name is Ron "Red" Burdett and he now resides here in Deltona, Florida. 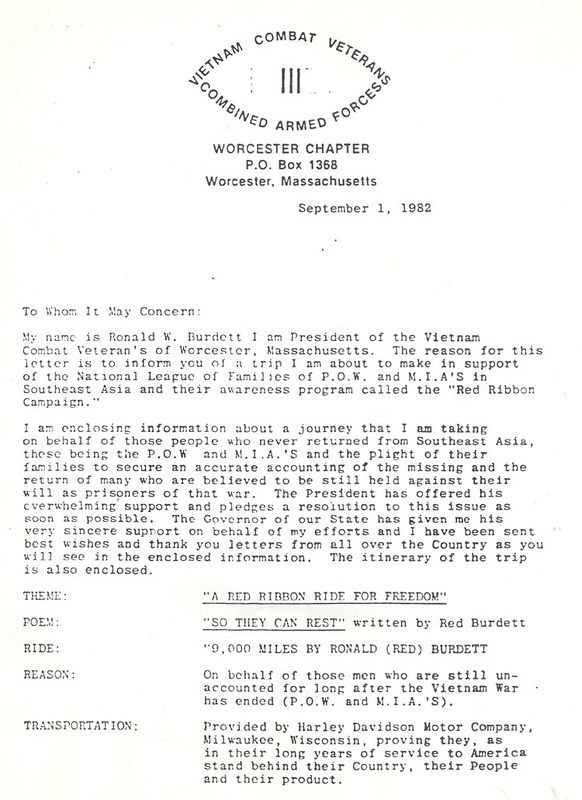 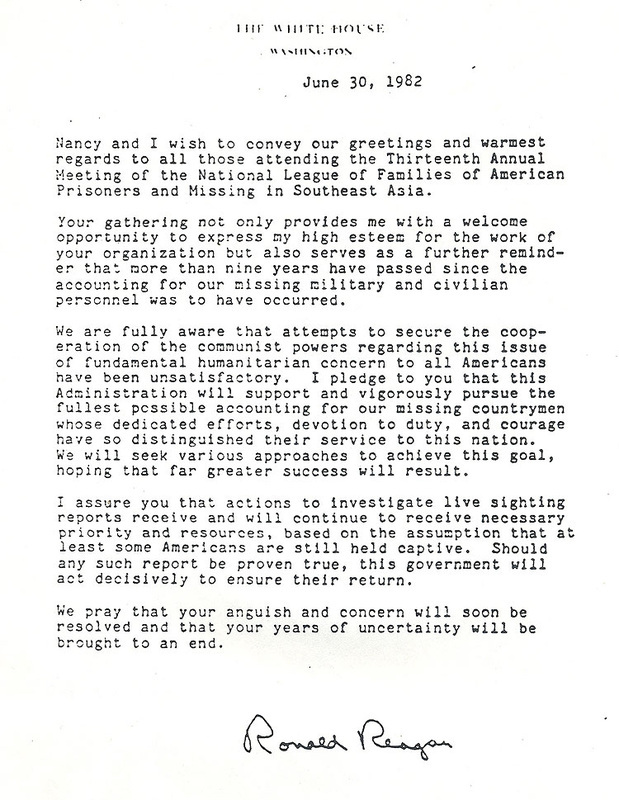 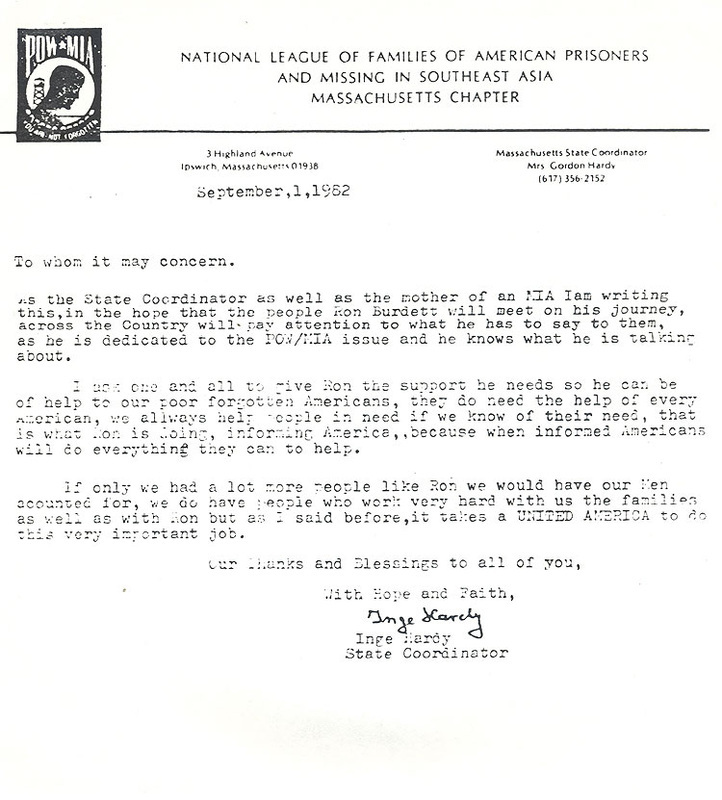 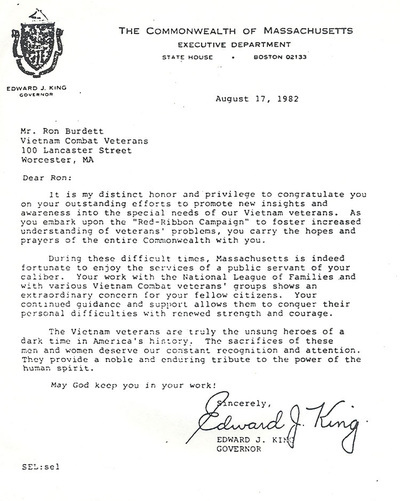 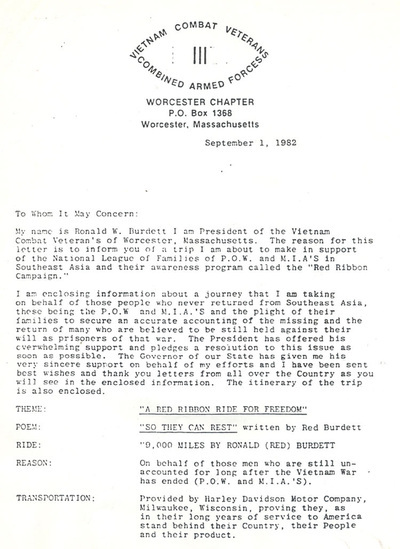 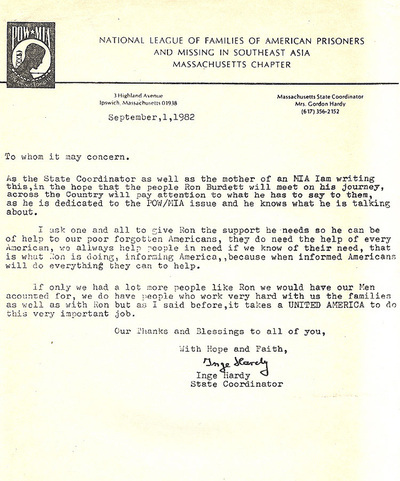 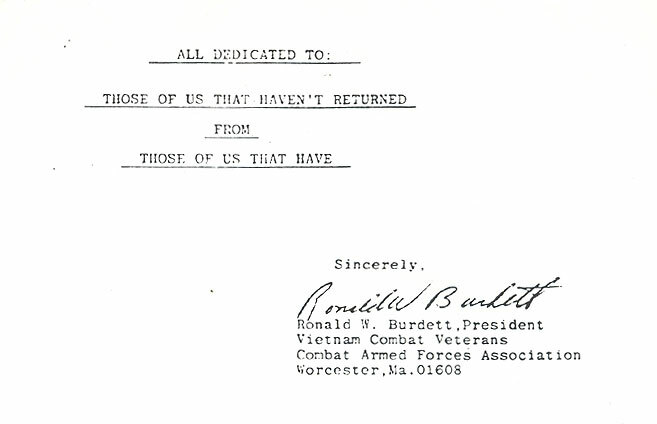 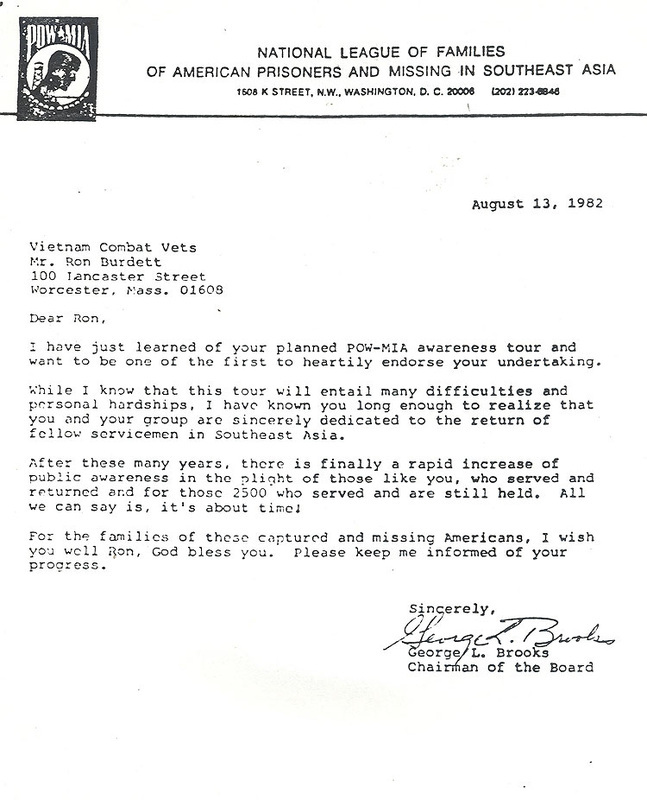 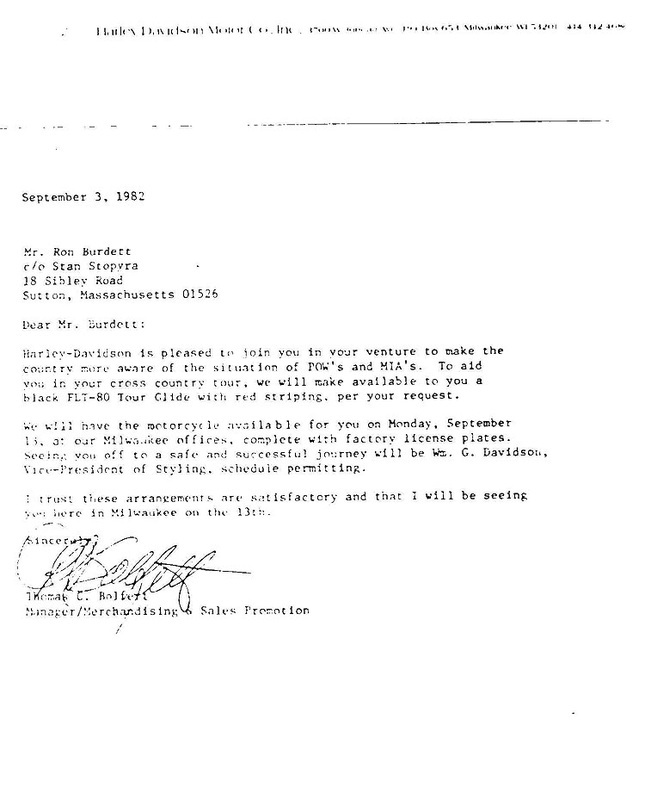 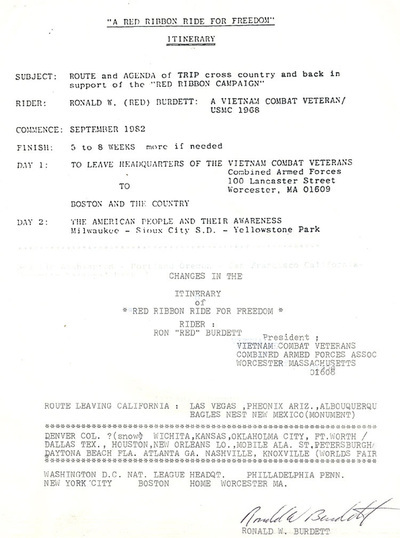 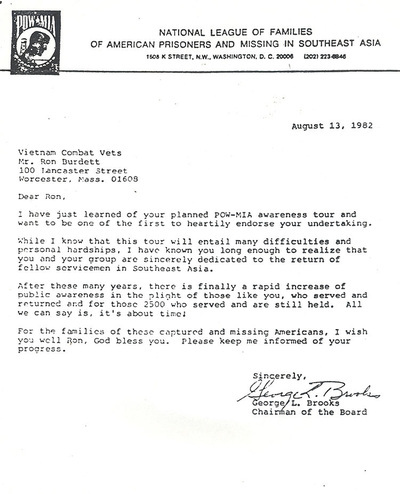 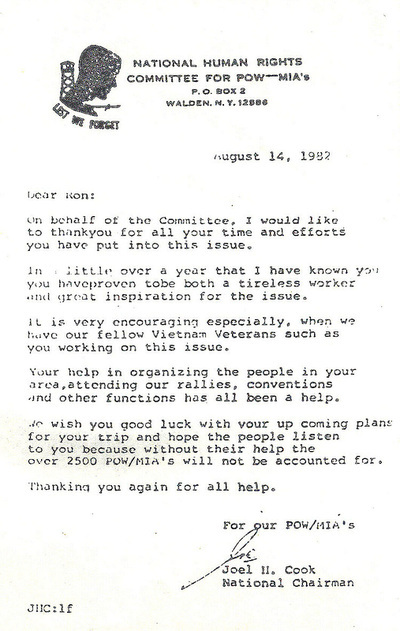 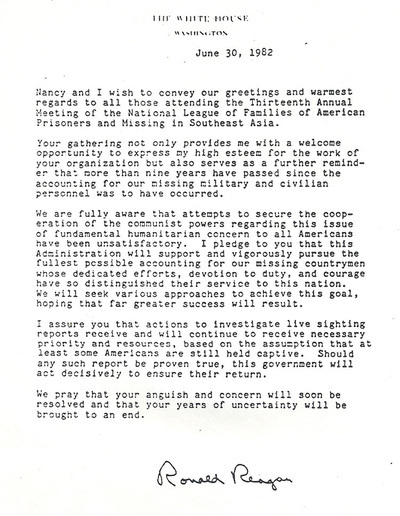 The following images are copies of correspondence between Red and the folks who were involved in supporting him in his quest to bring the POW/MIA issue to the forefront of the American consciousness. 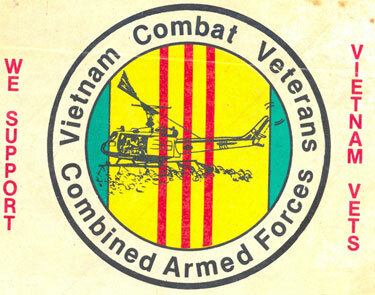 Ron has agreed to be the guest speaker during the Dedication ceremony for the Vietnam War Memorial on Memorial Day 2007. 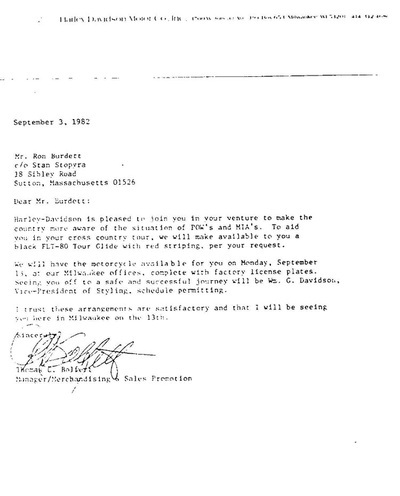 Please allow sufficient time to let your system load the images, it's well worth the wait. 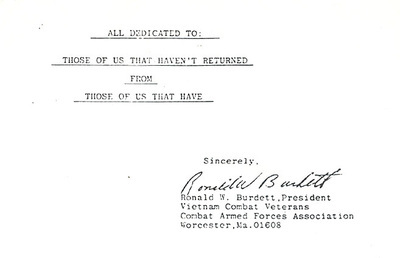 Respectfully, Moses.